Forty years, and still going strong! 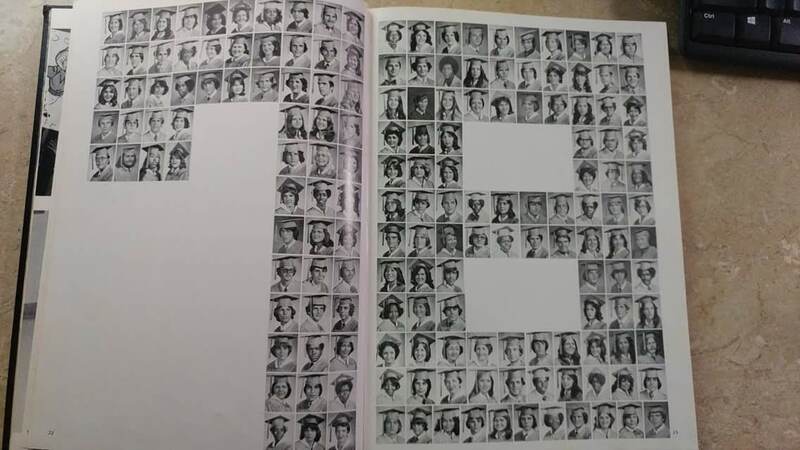 Saturday night was my 40th high school class reunion. 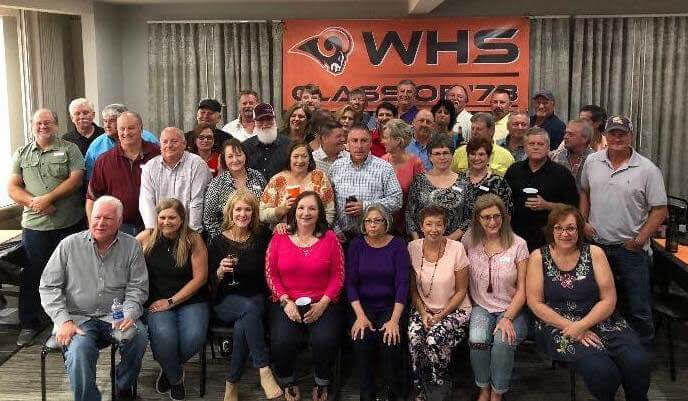 Westlake High School Class of ’78. Yes, that’s 1978. I didn’t get a chance to attend any of the other reunions that have been held, since we lived out of state for many years. Traveling home was reserved for holidays and family emergencies most of that time. Forty years! I’m sure it really hasn’t been that long, but the evidence is against me here, so I bit the bullet and made my plans to attend. I convinced Tony to accompany me, even though this kind of event is really not on his list of favorite things to do on a Saturday night. I needed the “eye candy,” as well as the anchor that he provides to remind me that I have lived a wonderful life in the years since I was an insecure teenager. I ended up having a great time (although Tony was a bit uncomfortable), and I learned some things, too. So I have put together a list of reasons why I’m glad I went- and why you should seriously consider going to your next high school reunion! You will feel young again! 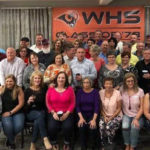 Reconnecting with the folks you went to high school with 20-30-40 years ago will awaken some forgotten feelings of being young and having your whole life ahead of you. Something about looking into the eyes of people that share those memories and that unique culture just takes you back to younger days. All the life that has happened fades just a little bit. Your reunion will also make you feel old. Looking around at my classmates was eye-opening. Most of the ladies had managed to fight off the effects of forty years of living, but you could still see it in the eyes of everyone there. Life takes a toll. In 40 years, we have lost some of our classmates, and some are even now battling the ravages of disease. It reminds us that we are all mortal. You will recognize people- even the ones that weren’t close friends. I was surprised at how well I remembered names and faces even after forty years- and how well they remembered me. Some had to remind me of their names, but most people there were familiar. The game of “guess who” was actually lots of fun, and provided some good laughs. Your high school reunion will give you the perspective of retrospect. This is a biggie for me. People trigger memories in us. Sometimes things we haven’t thought about for years will come rushing back into our minds when we see a face. Good or bad, those memories can often have more power over us than they deserve. I took a few minutes after the party on Saturday to put some things in perspective for myself, based on who I am now, knowing that those teenagers were still growing into who they would eventually become. Your classmates will really enjoy seeing you! All my reasons for looking forward to going to the reunion were shared by everyone there. It was nice to be asked about my life and know that my classmates were interested in what I had done with it. Everyone who attended seemed sincerely happy to have the opportunity to reconnect with old acquaintances. You will have the opportunity to evaluate how your life has unfolded. My high-school-graduate-self was planning to set the world on fire! My plans were big, and I wasn’t slowing down for anyone. Then life happened. I realized that my plans were still big, but veered in a different direction than I had imagined at graduation. Looking back, I am okay with that, because the things that matter in my life have mostly been well ordered. No telling where I would be if I had continued to pursue a stressful, demanding career, or if I would even be happy with my life. Reunions remind you that high school decisions are sometimes made to be changed. You will have a great time, I promise! That class clown will still be clowning it up. The organizer will make sure everything goes smoothly. The party animals will make sure that designated drivers are needed, and the social butterflies will still be in touch with anyone who has social media. Some of the “Plus-Ones” will join in and some won’t, but they will be there for each other and supporting the nonsense. There will be more hugs than you can count, lots of laughter, and maybe some tears. It will be noisy and confusing, and no one will follow directions well! You will go home smiling, and happy that you went. I had a college professor once who defined “ambivalence” as watching your mother-in-law drive off a cliff in your new car- one of the few things I remember from that class! That’s how high school was for me. I couldn’t wait to get out, but looking back I now understand its importance in framing the rest of my life. Not everything was good, but lots of it was significant in the overall collage of experience that has become me. I can’t close without thanking the people who worked so hard to organize this bunch. Hat tips to Frances and Tyler for a job well done. Also, if you need a great venue for a last- minute shindig, call Richard at the Mulberry Hotel. They were great hosts for us. Have you been to your high school reunion? If not, why? Shout out to me in the comments, I’d like to hear your thoughts on it! You hit the nail on the head for most of us! Beautifully written. Thanks, Kim! I appreciate the kind words! Had prior commitment that could not be changed….. I really wanted to go… I am envious of those that were there!!!! Beautifully written Christi. Having gone to a couple reunions before this one, this one definitely did have the most meaning to it. You realize that there are people who would have loved to be there, but are no longer with us. You talk to and hang out with people you didn’t in high school and get to know them, and you just have fun. At this time in our lives, we have nothing to prove, so I felt like the pressure wasn’t there to impress, but instead just be me. My hope now is that we can have gatherings more often, whether they be big or small, just to keep up with each other. I agree, Tina, that most of us no longer feel like there is anything to prove. We are who we are, and most of us are content with that! Thanks for sharing! Keri, I appreciate that- especially from a high school English teacher’s perspective! I really enjoyed touching base with you and Randy the other night. I had forgotten about his hilariously dry humor! What you said! It really was a special time for me too. I happen to be among those who believe we had a special group of people in our class. It was so great to be with everyone. 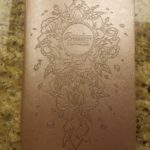 Thanks for your well written overview!